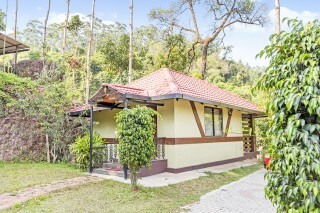 Snuggled in the lap of an evergreen forest, this is an offering of a private room in a cottage which can accommodate up to three people. 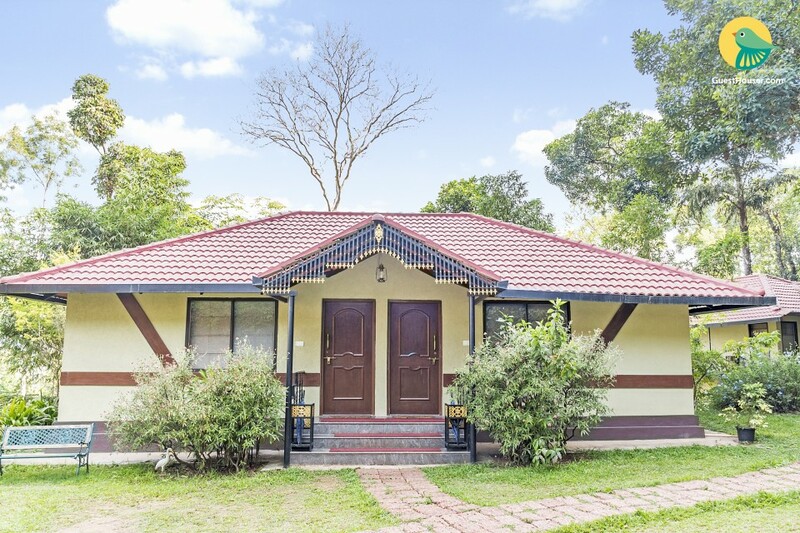 The host offers Wifi service, room service, and ample parking space, and the room on offer is ideal for solitude seekers. 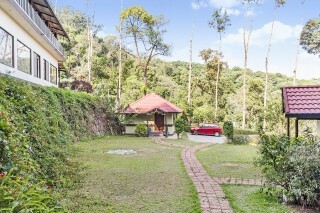 Your Space With breathtaking views of hilly vistas, this property is characterised by understated elegance and luxury. The cottage sits in a well-tended garden draped in tall trees and potted greens. Garden benches are placed here for your convenience. 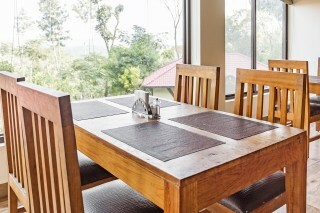 Inside, ample seating is provided in the dining room to ensure all your meals are enjoyable. You also have the option of dining in the open-air dining area. 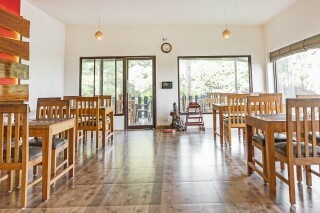 An open-air recreational room is set up where carom boards, a mini-TT table, a small trampoline, and other games are placed to keep children entertained. The room on offer is furnished to provide modern comfort. 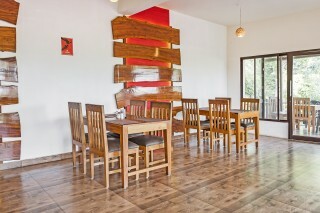 It features wooden flooring and vibrant interiors which lend it a rather warm vibe. 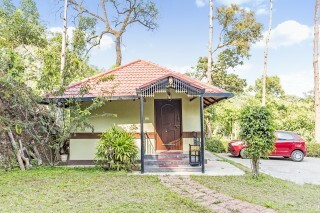 The room houses a fluffy four-poster bed with side tables, a couch with a coffee table, a writing desk, a spacious wardrobe, a dresser, and a flat-screen television. The en suite washroom is tiled and well appointed with western sanitary ware. The room opens out to a spacious balcony which makes for the perfect spot to unwind and soak in the fresh breeze! Guests are requested to provide valid ID proof at the time of check-in. Travel assistance can be provided. Cabs/Taxi for hire can be arranged for. Sightseeing trips can be arranged.